We had a wonderful experience with Shawn and the Auto Paradise team. They were great from start to finish and we love our new car! Thanks again and we are happy to be part of the family. What a great buying experience. I bought a 2009 Chevrolet Suburban 2500 4x4. Shawn directed me to a place for financing that approved me for a loan at 3.70% for a 10 year old vehicle! That alone was worth shopping at Auto Paradise. But then Shawn wanted to address a couple of minor issues with the vehicle before delivery and went above and beyond what we agreed on. Overall a class act. 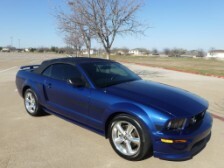 I would buy here again and would have no problem recommending Auto Paradise of Texas to my family and friends. Thanks Shawn. Love the suburban. Great car at a great price! 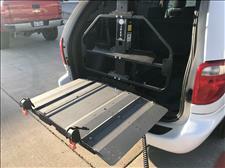 We bought a 2007 Dodge Grand Caravan with only 44,000 miles on it and with a Bruno Joey lift in back. Was delivered to us very quickly and we are very happy with it. Shawn did a great job of facilitating the purchase. Would recommend! 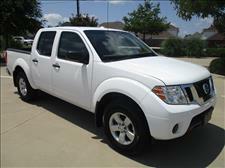 I recently purchased a 2008 Nissan Frontier from Auto Paradise of Texas. The whole process was smooth and stress free. I called Shawn to set up an appointment for a test drive, and he was very friendly and patient with the initial questions I had. When my wife and I arrived for the appointment the next morning, the vehicle was available for us to test drive and look over with no rush, no pressure at all. Again, Shawn was happy to field our questions and discuss details about the vehicle and the buying/selling process. He was honest, helpful, and a pleasure to talk with. We ended up having a great visit and went back home to Louisiana with a very nice truck! I will not hesitate to check back with Shawn the next time I’m in the market for a vehicle. My mom and I bought her a used SUV here a month ago. The sales experience was no pressure, he answered all our questions and gave us time to think about our decision. 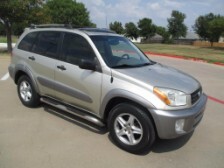 We got a fair price and a great new to us vehicle. I would buy from them again. Awesome experience, super friendly and answered all my questions with the upmost diligence. The ultimate question is whether or not you'd recommend Auto Paradise to friends or family, and I definitely would! Stand up gentlemen and would do business with them again. Shawn was very helpful and got me into to a great car. Definitely would recommend giving them a look! My Dad called Shawn Monday evening at 7pm. 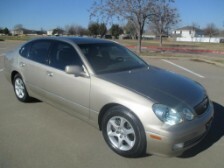 Made a deal on this sweet Lexus SC430. All paperwork was handled through email. 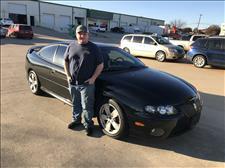 He handled shipping arrangements at an unbelievable fantastic price and car was delivered by 2pm Friday. Very professional, courteous, and honest!! Car was exactly what Shawn said it was!! 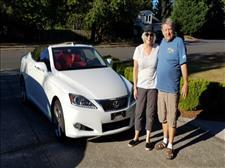 Robert T. - 2013 Lexus IS250 c 13K Miles 1 Owner!!! 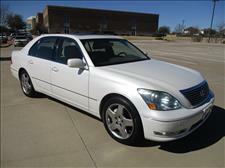 Shawn at Auto Paridise of Texas went the extra distance to make our deal work on our Lexus IS 250C. Would buy again and give them a 5 star rating! All I can say is; Awesome service! Shawn was very helpful and made the whole process quick and effortless. He put extra effort in making sure I was happy. 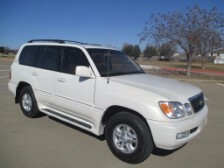 Thanks again Shawn, for making me a proud owner of a new (to me) Lexus LX470!!! 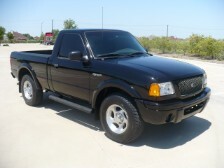 Purchased my 2004 Ford truck from Shawn a few weeks ago. Excellent vehicle and even better purchasing experience. Shawn isn't "selling" cars. He's building customer relationships. Offering a quality product at a fair price, honest info disclosure, and going the extra mile to ensure the customer's expectations are exceeded is a solid recipe for ensuring he has repeat customers for life. Don't expect a slick, three piece suited sales guy looking for a commission to buy his next meal. Instead, expect a hard working car guy owner that is real. No frills and the sales process is as quick as can be expected, only slowed down in order to ensure all the Texas state regulations are satisfied. In the market? Then you have to put this place on your list to visit. Awesome and efficient experience with this company. 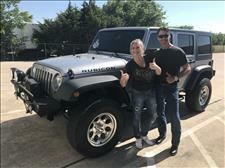 Shawn went above and beyond to help with this purchase and shipping of my 2014 Jeep Wrangler Rubicon. Would HIGHLY recommend! I bought a very unique car from Shawn. Worth the time, money, and effort to get a LOW mileage, top of the line auto. Thank you Shawn. 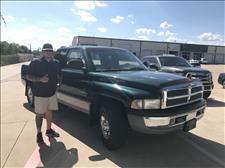 Had a very good experience with auto paradise of Texas, drove 4.5 hours to see the truck that was exactly how it was described. Transaction went smoothly, Shawn the owner is a very down to earth guy. Would highly recommend this dealership! Valerie M. - 2004 Honda S2000 51K Miles!!! 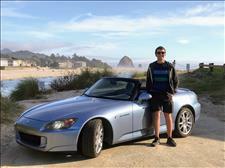 I had the most amazing experience buying my son's Honda S2000. I am in Oregon and purchased this car sight unseen. Shawn and Jason were awesome. They gave me a video tour of the vehicle and worked out every detail of the purchase as well as adding in shipping the vehicle to Oregon. It was a seamless purchase, straightforward and honest to deal with. 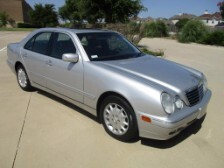 I highly recommend a car purchase with Auto Paradise of Texas!! 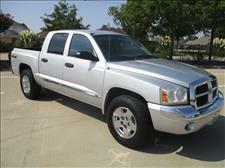 Shawn was more than accommodating when it came to purchasing my Dodge pickup and he made the process quick and easy. I’ll definitely be recommending him to family and friends looking for vehicles. Great experience buying my husband's 2015 F150. Truck was exactly as expected from the listing. Easy process, Shawn was very personable and made the entire process enjoyable. He even got us a lower interest rate that was amazing. Shawn is the real deal! 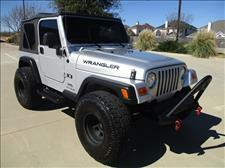 We honestly thought that the Jeep and his website were too good to be true. We are now believers! Great jeep and amazing experience. Shawn went above and beyond! He even recommended a bank that had a lower interest rate...yep...way beyond! I highly recommend him anyone needing a car! So easy. ..so fun..and truly honest. Thank you Shawn! Thanks, Shawn, for the best car buying experience I have ever had. 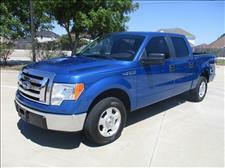 You were great and I absolutely Love my Ford F150 Harley Davidson Edition. I will be back to buy another car and I know I'll get great service because that's what you are about! Dealing with Shawn was fast and easy. 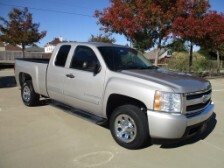 It took longer to unload my old truck then it took to buy the new to me truck. Thanks for a fun experience. I would highly recommend Auto Paradise to others in the future. OK first thanks to ALL the dealers who tried to take advantage of my vehicle purchasing experience! We've purchased over 20 vehicles and NEVER have we saw a vehicle online with the ability to text the dealer about vehicle, answer a few questions, fill out credit app online, get text from dealer of BEST vendor to finance vehicle. 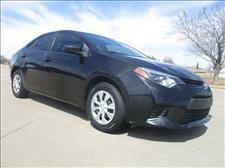 Then drive to the dealer after approval.. test drive vehicle, sign few documents drive vehicle home. Unbelievable RIGHT?? Got picture's to prove it and to cover the thousand words I am limited to. Shawn is the real deal. Call him, text him, email him. Just get there and prepare to be AWE inspired. Your turn who's got NEXT. Super simple, transparent car buying experience. Loved the fact the the Carfax and history were available upfront. Overall a GREAT experience!!! Shawn is as good to deal with as anyone you’ll come across. Had a problem with the truck and he and his mechanic Allen made it right. Would recommend these guys to everyone needing a sound vehicle. Wow! What an awesome buying experience and incredible vehicle! No pressure sale and Shawn was like visiting with a longtime friend. My parents are already talking about going to Auto Paradise of Texas when they are ready to purchase their next vehicle. THANK YOU for making this THE perfect car buying experience. What a hassle free way to purchase a vehicle! We drove 3.5 hours (one way) to pick up our low mileage car. No pressure and the machine was even nicer in person than the online pics indicated. We really enjoyed this car buying experience, said no one ever! Until they’ve shopped at Auto Paradise of Texas! Absolutely the best car buying experience yet.. customer service was amazing, felt like we've known each other forever. I drove 2.5 hours to pick up my new car, so worth it!! I would highly recommend for your next car purchase!!! Thanks again guys!! Best Auto buying Experience ever. As a Caravan owner for over 30 years, buying one was a no Brainer. After my initial contact I set up an Appt. Walking up to the Grand Caravan the outside was 99% mint condition. The interior was the same or maybe 100%. This was a 2005 Dodge Grand Caravan with 58,000 miles on it. The whole Auto Paradise crew knows how to treat Customers. We just had out first lengthy trip in the Van and it was a delight. At almost 70, this should be our last purchase, but I will 100% steer anyone to A/P Arlington. 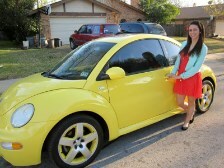 I purchased a great car for my 17yr old daughter from Auto Paradise of Texas. 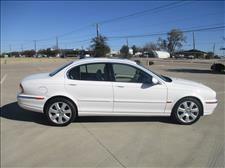 The car was without any major defects, low mileage and very well maintained service history. Auto Paradise of Texas provided excellent customer service. I would truly recommend doing business with this company. Awesome find on my Hummer H3. Thank you Auto Paradise of Texas for making my dream vehicle come true for me! Great help, Easy buy, and sooo dang fast out the door. We were done in about 45 mins. Thank you brother for making it sooo easy! They don't have that sneaky "used car salesman" vibe, Jason and Shawn and both approachable, down to earth, easy to talk to guys. Their shop is clean and kept, don't expect Martha Stewart type kept but it's not messy and junkie. 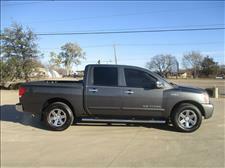 The 2011 Nissan Titan Truck that I bought was clean and was the cheapest price for the millage and year in the area. The experience was easy and I did my home work so knew I could not find better for the price range, I came looked and the truck and I was satisfied with it did the paper work and was out the door within 2hrs (Had to get a loan). How much easier does it get ? I came in July 8th and purchased a 2010 corvette. The experience was awesome. My dealer checked on me and made sure I had a safe trip. He guided me in to the dealership so I wouldn't get lost being I was from Mississippi. When I got there all the paper work was ready. All I had to do was test drive and sign my name. I was in and out in an hour. He also referred me to a wonderful hotel and restaurants for me to dine at. 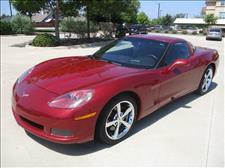 If you're looking for a great vehicle and a exciting experience please check out Auto Paradise of Texas. We had a great experience buying a car from Auto Paradise. 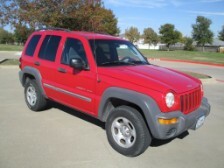 Shawn and Jason answered our questions and worked with us on pricing for the vehicle we purchased. 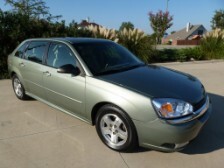 I was impressed with the caliber of cars (low mileage/one-two owners) they offer. Thank you, Shawn and Jason. This is the best dealership in Texas!! Great customer service , awesome selection of cars with 1 owner and low mileage , COME HERE TO BUY YOUR NEXT CAR ! These guys are awesome!!! I have bought many vehicles in my life and I've never experienced such a no pressure, friendly environment at a dealer. I love my new truck! They will also do everything they can, including going out of their way, to help you get the best financing and ensure you are getting the best deal. They will even tell you if you have found a better deal elsewhere. 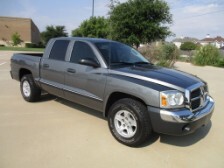 If you're in the market for a vehicle I suggest you check Auto Paradise of Texas out. THIS. IS. HOW. TO. BUY. A. CAR. People. I never left my house. Called Jason/Shawn, had an independent inspection done, wired the $, they emailed me documents and the car was delivered to my house less than 36 hours after the initial contact. Folks, I have an "in" with a big car dealership and I still would choose to do business with Auto Paradise every time. Clear communication. Clean car. Attention to detail and great service. No pressure, no need to haggle because their price is fair - one where both the buyer and seller feel like no one got taken for a ride (ha!). And? They just made it EASY. I really can't say enough good things about my low mileage Honda and the guys who got it to me so dang fast. The service was wonderful. Love my car. Thank You! They took great care of me. All paperwork and everything was done when I arrived. Signed a few papers and was in and out in under 30 minutes! Great guys. They have a very unique inventory of low millage one owner cars. Sold me a 05 525 BMW 65K miles , was exactly as described. The educated consumer will love this place. 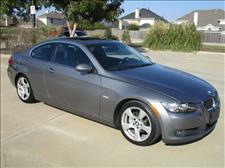 I recently purchased a 2007 BMW 328i Coupe from Auto Paradise of Texas and could not be any happier with my experience. First off, the communication that Jason kept with me during the process was excellent. 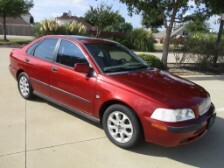 Second, the car was beautiful and at the price they sold it too me for I kind of felt like I stole it. 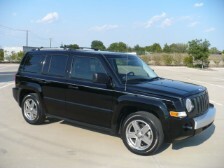 Both Jason and Shawn did a fantastic job in making the car-buying experience not only seamless, but painless as well. I was in and out of there with a great car and an amazing experience. I highly recommend this dealer to anyone looking for a vehicle. Had a great experience and love my new Jeep Grand Cherokee! Great experience. Bought really nice Ford F150 right after Hurricane Harvey. They didn't jack up prices even though they knew many, many Houston vehicles had just been destroyed and Houstonians were coming to DFW to buy vehicles that had not been flooded. Everything from start to finish was excellent customer service. I will buy from, Auto Paradise of Texas again. 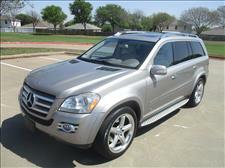 I love my Mercedes Benz ML430. 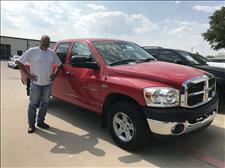 My husband and I were looking for a truck for our teenage son and found Auto Paradise through the USAA car buying process. When we called, we spoke directly to the owner, Shawn. He was extremely easy to work with! Very friendly, easy going, and absolutely no high pressure sales. We were impressed with Shawn's product knowledge, easy going sales process, and ethics. His online description and photos of the truck we were interested in were spot on (unlike other places that lure you in only to be disappointed). We appreciated how easy he made the whole process and, to top it off, he's just a super nice guy! It was a great experience and we would definitely do business with him again. 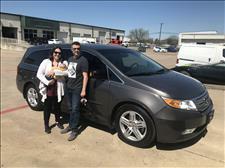 We found Shawn and Auto Paradise through the USAA car buying service and within 2 hours we were driving home in our Honda Odyssey. The process was so relaxed and family friendly. Initially, we were in contact with Shawn through email and calls and the response time and personality was off the charts. For me, it’s always nice to get a good feeling before heading out to look at a vehicle. My husband and I took our 9 month old, who was initially fussy as babies are, and Shawn was so gracious and patient with us. He took the time to walk us step by step through all the car features and answered all our questions without hesitation. We loaded up the baby’s car seat and took the van for a test drive. It’s very apparent that Shawn takes his business seriously to ensure quality in the vehicles he sells. I would recommend Auto Paradise to families and anyone looking to actually enjoy their car buying experience. 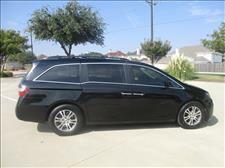 We can’t wait to take our first family road trip in our Honda Odyssey! Thank you so much Auto Paradise! 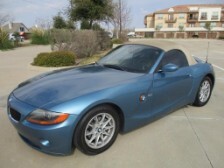 I recently purchased a 2003 BMW Z4 with 56K miles from Shawn and I have been 100% happy with my buying experience every step of the way. Shawn consistently answered all calls and texts and was on time and prepared every step of the way from test drive to sale. Price was very fair (especially considering the 30 day bumper to bumper warranty). Car was exactly as advertised and I constantly get compliments on how the car looks brand new and people are blown away when I tell them it is 14 years old. Shawn also stood by his warranty when there was a problem with the radiator/hoses. Shawn took care of everything quickly and professionally (exactly as he said he would). Working with Shawn and Auto Paradise of Texas was a true pleasure and I won't hesitate to buy from Shawn again. 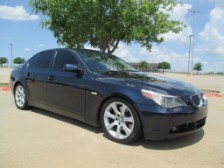 I highly recommend anyone who is looking for a low mileage luxury car to check out Auto Paradise of Texas. Best car buying experience I've ever had!! I've been in the car business since college, bought several vehicles, so that's saying a lot coming from me since I am extremely critical and very biased. I myself practice and preach integrity, great customer service and transparency in every transaction, start to finish! Shawn, the owner, was the epitome of this model. First, he accommodated an appointment based on my schedule(I have busy hours in the car business). He didn't try to "sell" the car through the phone as most traditionally would and try to get you there in person. Surprisingly, he didn't even test drive the car with me in person when I did arrive which is also unorthodox. He let me take a much extended drive (I was gone for over half an hour to test and look at everything) as he patiently waited way past normal business hours for my completion. To top it off, we kicked the can for another few hours after that, not leaving 'till almost midnight! 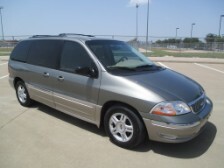 Shawn specializes in low-mileage, 1-owner vehicles that are very clean inside and out. He and his team go through them all with a fine tooth comb and rigorous mechanical inspection, giving you great confidence. 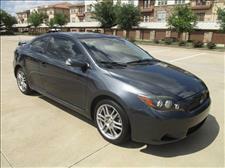 I myself bought an almost 10 year old Scion TC with only 55k! Since it was a used car, naturally there was some very minor "wear-and-tear." (scratches, chips, smudges, etc). Completely understandable and every new buyer needs to shut the heck up and expect that since it's not a new car! Since I know the game better than your average Joe, I noticed a small handful of very small concerns, alignment slightly off, squeaky door (he already mentioned that prior), a small piece of upholstery missing, ETC. Their was also a break bulb issue that he spotted that I didn't even originally notice, who does that?! Without even an ounce of hesitation or bat of an eye, he emphatically and willingly offered to fix everything free of charge. Not only was that delivered, he even went above and beyond and hooked me up on a couple other things that I don't want to mention so everyone reading this review doesn't expect that as well ;] PS, you have a "bumper-to-bumper" warranty for the first 30 days in case anything unexpected occurs, do you need any other confidence?! I don't think so. Not to mention, I never had to haggle or negotiate a better price. 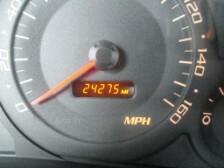 This was because he was the cheapest price on that specific model and mileage in a 500 mile radius, and he always is! I knew this and didn't even think of asking for a discount for a second. Though, I've been doing that as a consumer and as a professional (Sales/Finance Manager at a dealership) for years now! Also, he encourages you to bring your own bank or CU to the table, or will help you find one if you need help. He doesn't pull your credit and try to make money on the "back-end" stuff like most do! If you're looking for your life to be changed and a new perspective on buying a car, I HIGHLY RECCOMEND going here, you won't be disappointed. Don't take my word for it, go see for yourself!!!! The best place to buy a used car. 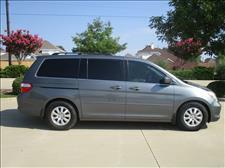 I'm from Oklahoma City and I drove to Texas to test drive a Honda Odyssey and it was in perfect condition and the price was better than any dealership in okc with low miles, one owner car and well taken care of. It was worth the drive!!! I would go there again to buy my used cars! The owner/Shawn was great and friendly. He got us all taken care of. The best part about this place is you don't have to haggle about prices because it's all up front!! 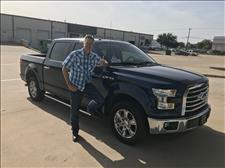 Shawn, was extremely helpful in assisting me into getting into a new Ford Ranger, he offered to do a lot things that most businesses would not do. I was coming about 200 miles out from where he is located. This in turn made me weary about purchasing a vehicle so far away. One phone call and Mr. Shawn had put me at ease, especially with what he said equaled the car fax he had shown me when I got there. Great prices, excellent customer service. We closed the deal with a handshake and a hug. You won't find a nicer guy than Shawn to buy a car from. 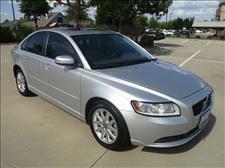 I'm loving my Volvo S40 and I am very happy with the service I received. Shawn answered all our questions and handled any concerns quickly and professionally. I recommend Auto Paradise without reservation. 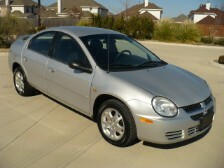 This is the second car we bought from Shawn and Jennifer Auto Paradise of Texas. This one was for our 16 year old daughter!!! Highly recommend!!! 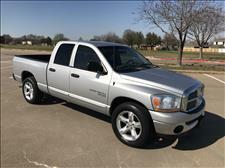 I'm from Kentucky, looking for a GMC Sonoma and came across the Auto Paradise of Texas website. Found just what I was looking for. I contacted Shawn about the truck. Was informed that he was putting a heater core and AC compressor on the truck. 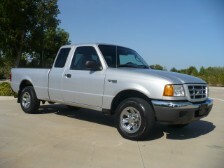 After the repairs were made, I made the deal to buy the truck and have it transported to Kentucky. Upon receiving the truck it was exactly as described. 2 months after receiving the truck, heater core started leaking. Contacted Shawn to see if there was any warranty. He took care of all parts and labor OUT OF STATE!!! 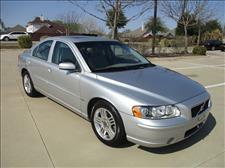 I bought a 2005 Volvo S60 with about 55,600 miles on it from Auto Paradise of Texas. They specialize in older vehicles with low miles. I have driven the vehicle for just over a week and it runs great. When I bought the car, the blinker switch was going bad, and Shaun ordered the part and replaced it in under a week. Overall this has been a very good experience. We bought a Jeep from Shawn. He met us as promised, showed us many features of the vehicle, and even showed us how to take off the soft-top. The vehicle was low mileage and in great shape for the age. As we were taking some time to consider buying the Jeep, Shawn kept us informed as other potential buyers were looking it. He was extremely helpful and seemed knowledgeable. Overall our experience was very positive. Made the whole car buying process simple and quick. All paperwork was done quickly, and he answered the phone 98% of the time. We ran into some issues along the way and he was quick to make everything right. If you're into great low mileage cars with no-pressure sales and a quick process, Shawn's your guy. Auto Paradise is awesome!!! Made the car buying process so easy and hassle free. Shawn allowed me to pick up my new truck at his house after hours since I work all day. Couldn't ask for a nicer car dealer. He even met up with myself and my wife and kids on a Sunday afternoon so that I could do a test drive. 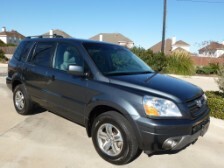 If you are looking to purchase a quality used vehicle, this is the place to go! Thanks again Shawn! 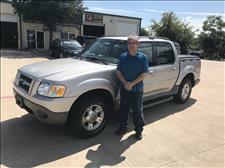 We recently purchased a 2002 Nissan Pathfinder from Shawn at Auto Paradise of Texas and we LOVE IT, or should I say I LOVE IT!! (I drive it most!) We went to look at several other Pathfinders before meeting with Shawn. We talked with Shawn over the phone, he sent us a video of the vehicle and he even met us pretty late to test drive it. The Pathfinder was superb! He had all the paper work ready. Shawn is very educated about all his vehicles. We bought it and haven’t had any problems at all. We even took it on a long trip to be with my family over the Thanksgiving holiday. 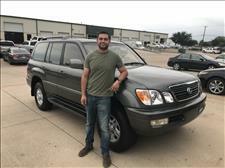 No matter the distance we drove to get it, we got a great Pathfinder and would recommend everyone to buy their vehicle from Shawn at Auto Paradise of Texas. We will definitely be calling Shawn in a few more years when our son needs a car. Thanks Shawn, YOUR AWESOME! I am very pleased with the courteous and professional manner that I found with Auto Paradise of Texas in purchasing my new Lexus LS430. They were very thorough in their examination with me about all the features of the car and of the necessary details of making the purchase. 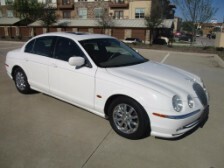 I never felt any pressure from them to purchase the car, only good and complete answers to my questions regarding it. I certainly will use them again the next time I wish to buy a quality used automobile. It’s nice to know folks like these that you can trust when purchasing something of this magnitude. 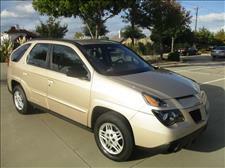 My husband and I needed a new vehicle and we found a car we liked on line. 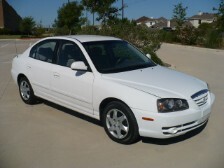 We bought a 1 owner 2003 Hyundai Elantra with 78K Miles. We were getting the money we needed from out of state and Shawn and Jennifer at Auto Paradise of Texas went well above and beyond to help us leave THAT day with our vehicle, and we did! There was a couple of minor glitches but Shawn PERSONALLY made sure it was fixed THE NEXT DAY! I guarantee you will NEVER find that level of customer service ANYWHERE! 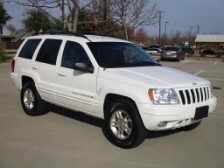 Thank you Shawn and Jennifer for making a car buying experience a pleasure and a joy! We will DEFINATELY be back to but cars in the future! This thank you is long over due. 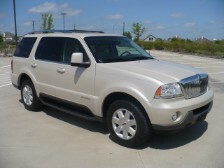 We are so happy with our 2005 Lincoln Aviator. 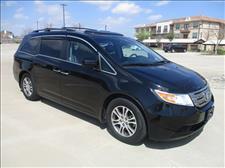 Everyone at Auto Paradise of Texas was accommodating while we searched for a vehicle that would fit our growing family. Not only did we bring home our new baby girl in the Aviator but then we drove literally from coast to coast taking her to see friends and family. We were comfortable and safe through 21 states and thanks to the DVD player that you installed… it was a quiet ride with our 4 year old, 2 year old and new born. Shawn and Jenn went above and beyond to find us the perfect vehicle. We can’t wait to doing business with you in the future! 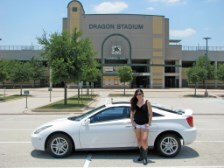 I just wanted to post a testimonial that my recent experience at Auto Paradise of Texas was one of the best ever. Friendly, prompt, reliable, open, fair, honest, great service, great product, follow through, excellence, and warm are all words that come to mind in my puchase of a Lexus GS300 last week. Kudos to Shawn and his wife for a well run business and great service to the community. Everything we asked for we received and it was done professionally. Thanks again, Michael B.
I am the proud owner of this wonderful vehicle. The car is in remarkable condition. Runs like a brand new car. The price was reasonable and the customer service was exceptional. I'd recommend Auto Paradise of Texas to family and friends. You won't be disappointed! This was the best car purchase of my life by far. Shawn was amazing. No pressure, like buying from a friend. I walked in and walked out on a Saturday with the vehicle without setting foot in the bank. Shawn received a fax confirmation from the bank and gave me the keys. 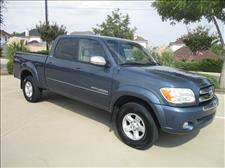 I would strongly recommend Auto Paradise of Texas to anyone wanting a nice vehicle for a fair price. 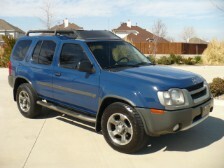 Thank you so much for helping find my new 2002 Xterra. When I walked into your office I could not believe how nice the two of you were, and how helpful you were throughout the whole process. I have never been to a dealership that treated me as kindly and as much like family as you guys. 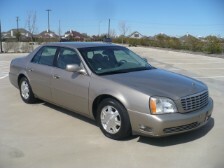 I am so glad that I bought my car from Auto Paradise of Texas. You guys truly are the best, and I wouldn’t dream of doing business with anyone else. This letter is long, long overdue and we would be remiss if time was not set aside to thank you for making our car buying experience exceptional. 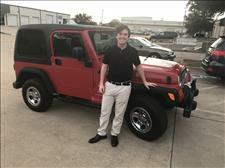 This was our son’s (Connor) first vehicle purchase and we wanted him to “experience” every aspect of vehicle shopping – boy, were we in for a surprise ourselves!! Suffice it to say, if we had not found Auto Paradise of Texas, the “experience” would have ended and buying a vehicle put on the back burner. We had all but given up and made up our minds this was the last truck we would look at…knowing this would turn out exactly like all the others. Hallelujah!! Auto Paradise of Texas and Shawn and Jennifer Hoover. Amazing!! Everything on your website was TRUE. Everything you told us was TRUE – – the truck was EXACTLY as your website said, the video showed, and you told us. Your professionalism, courtesy, and relate ability are without equal and what sealed the deal – we were sold, but after talking with you both, knew we were advising our son correctly. Thank you for the mission you are on with your dealership and your honesty and integrity. Because of our experience, we tell everyone about you and will come to you for future vehicle purchases! Sincerely, Daryl and Kim S. PS Conner L O V E S his truck! “Axel” is awesome and a wonderful addition to our family!! I did not buy this time for a different reason but I would visit them again. They have a great inventory of low miles cars. Also, Shawn did a great job, no pressure, and I felt all way long that I could trust these guys. 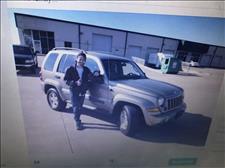 Thanks for the good service and smooth transaction with the 2007 Patriot. It was a good experience for us and we’ll recommend you anytime!!! 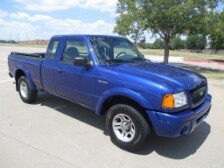 My mother-in-law loves her “cute little blue truck” (2000 Ford Ranger with 33K Miles). She’s been showing it off to all her friends. Loves having a vehicle to drive around her farm and to haul the few things she needs to haul without having to put stuff into her car trunk. One of the bays in her garage has been full of junk and she’s been working on cleaning it all up so she can put the truck in the garage. She even had me look into putting a storage shed on her place just so she would have more room in the garage. She was amazed at how clean it looks. Thanks for working with me on the Mazda trade too. My son is loving it at UT so far. Finally, I’m able to sit down and send you this note of appreciation. 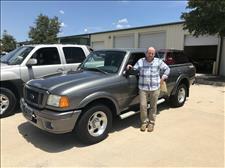 We have really enjoyed our 2003 Ford Ranger with 53K miles we purchased and can’t thank you guys enough for all the attention you gave to Paul and I. You have truly created an environment which made us feel like we were family. You made the car buying experience a positive endeavor for the first time in our lives. We are so thankful we found you! We look forward to seeing and working with you both in the future. Keep up the good work….. and thanks a million for caring about how people feel about what is generally an unpleasant experience into creating a truly pleasurable experience from the start to the finish. 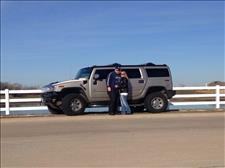 Sincerely, Paul and Teresa P.
I just want to say that I have seen many dealers advertise their vehicles for sale, but your approach to putting videos with your cars is AWESOME!!! It is not the typical computer generated video, but you actually take the time to show all of the nuances of the vehicle YOURSELF!!! What a breath of fresh air for potential customers to actually see the vehicle before coming out and know EXACTLY what they are buying. So unlike all of the dealers that are advertising their vehicles and getting out there only to find out they are nothing as advertised!!! Thank you so much!!! Al H.
I want to thank you for your attention to details and the personal time you took explaining every little thing about the car. 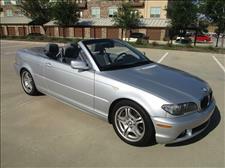 (2001 BMW 325I Convertible with 66K Miles) The saying goes, “when it is to good to be true, than it is usually is”, well in this case quite the opposite!!! I felt that my experience with Auto Paradise of Texas was to good to be true! It was all good from the minute I stepped on the lot to look at the car, to the time I came back and drove it off the lot. It was THE car I wanted, in my price range. My experience with Auto Paradise has been EXCELLENT and I would highly recommend others to come check out your cars. I have gotten to drive it a lot over the holidays, and it has been a lot of fun, and it still only has 66K miles on it, but hopefully not for long. Maybe in a couple of years you will consider a trade in for some thing else, but you never know. I am liking this car so much I might keep it until the wheels fall off. I just want to comment on the most pleasant experience I have ever had in purchasing a vehicle. Shawn was friendly, trusting, and super easy to work with. He worked with us to make the sale on Labor Day. He allowed my wife and I to take the 2005 Honda Civic LX for a test drive alone, something we didn’t ask for. First time that has ever happened to me. It is refreshing to drive the car without the person trying to sell it sitting in the back seat. The vehicle was in Immaculate condition…which is a word Shawn had used on the phone and was the exact word to use to describe it once we saw the vehicle, inspected it and test drove it. 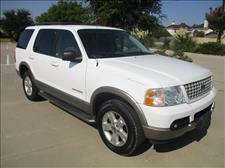 The pricing of the vehicle was so good I did not even bother with haggling, the vehicle looked and drove that good. 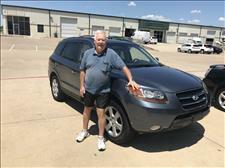 I had just seen vehicles with substantially more miles and a year older going for more at Carmax, Rusty Wallis and Bankston Honda. I also want to thank Shawn for the extra key and remote he threw in to satisfy my 1 request. We bought the car in September and I am writing this testimonial on 11/29/2012, the car continues to run great and still looks immaculate. My daughter is very happy with it. Not only was the shopping experience the best, it was also the shortest. We spent about 45 minutes including the test drive and paperwork. Now when have you ever bought a car at a dealer in 45 minutes? Auto Paradise Texas is where I am looking first next time I want to buy a car! Big thanks and Good Luck in the future! 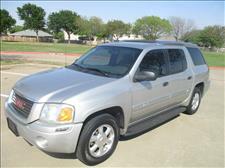 We came to Auto Paradise of Texas due to the many testimonials and customer reviews you had received. Now we must add our own. We came in to look at 1 vehicle and came out purchasing TWO!!!! It was EVERYTHING we had hoped for!!! 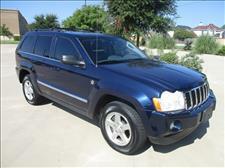 Excellent pre-owned cars in great condition and PERFECT CUSTOMER SERVICE!!! We do not expect to buy another “NEW” car if these folks continue to do their work of pre-selecting and servicing the cars they sell the way they do!!!! Thanks!!!! Shawn and Jenn, I hope you had a great Christmas. 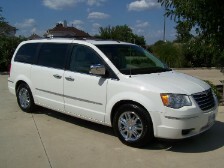 We want to thank you for the wonderful experience we had in the purchase of our 2008 Chrysler Town and Country. We absolutely love it. It was so nice dealing with you guys. I wish everyone would come to you guys when they are looking for an automobile. 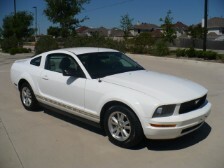 I bought an 2007 Mustang from Auto Paradise of Texas. I called Shawn on a weekend day and he said we could come right over. The car was in PERFECT condition, inside and out. Not even one scratch, ding or tear. Everything was as advertised. 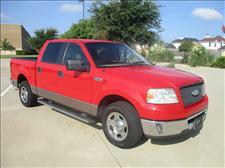 I looked a lot of places and could not find anything that even touched their price, condition or low miles. The price was so low, I didn’t even bother haggling. Shawn let my wife and I take it for a drive right off the bat. No taking a copy of my DL. No him riding in the back seat -Just me and her. We really liked the car. I used USAA financing, which made things really smooth, but so did Shawn. We were probably in and out of there, driving the car home in about an hour. They were very friendly, extremely knowledgeable, honest, and straight-forward. I only wish I had gone there for my son’s car. I will definitely use them again when I want an older car in great shape and at a good price. I would write more, but I want to go drive some place!!! 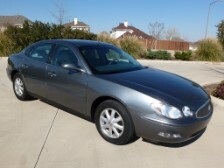 I bought a 1 Owner 2005 Buick LaCrosse with 34,000 miles in excellent condition from Shawn and Jenn at Auto Paradise of Texas. The car was well maintained by the previous owner. I was able to make an appointment at my convenience. Shawn and his wife bent over backwards to make the car purchase a joyful experience. I strongly recommend Auto Paradise of Texas!!! 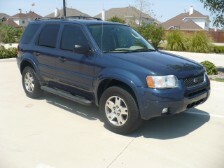 I purchased a 2002 Mazda Tribute ES with 75K miles and I have been very pleased with my purchase! I thought it was great that up-front I had pictures, a video and a clean Carfax report of the car before I came to look at it. Shawn and his staff had the car finely detailed and maintained in excellent condition. 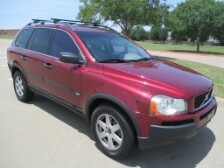 I previously owned a Mazda Tribute and this car reminded me so much of it! Working with Shawn and Jennifer was so easy and I thought it was great that if anything happened with the car in the next 30 days they would work me! It was peace of mind knowing that if anything were to happen I could come back to them for assistance. Thank you for all your help and I look forward to being a customer for life! 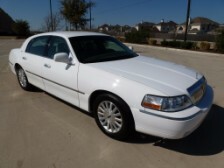 Just a note to tell you how proud we are of the 2004 Lincoln Town Car with 25K miles we purchased from Auto Paradise of Texas. We also appreciated your helping out on the cruise control issue we were having shortly after buying the car. All is well and everything is good with the car. My wife loves it. We truly appreciated the time you took with us in dealing with the purchase of the car. You made it so easy!!! 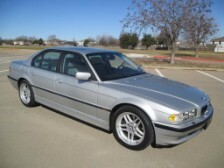 In February, 2013 I bought an immaculate, 2001 BMW 740iL with 39K Miles from Auto Paradise of Texas. The car is simply amazing. This dealership obviously has very high standards for the cars they buy/sell. 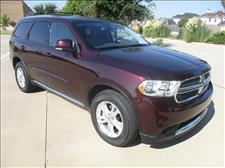 The pre-owned vehicles in their inventory are exceptional. Shawn installed a new battery in my car before I picked it up. A week later, a power window failed, and Shawn fixed it immediately at no charge. A week after that, my glove box door failed, and Shawn assisted in that repair too. Doing business with Auto Paradise has been a very positive experience. 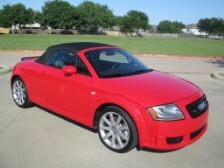 We were so impressed with the deal that we got with our 2001 Audi TT Roadster that we have returned and bought another vehicle from Auto Paradise of Texas – a 2003 Mercury Grand Marquise with 16K Miles. Both vehicles have low mileage and run like a charm. We enjoyed doing business with Auto Paradise and Shawn. 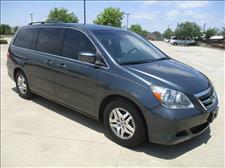 We have even referred our Pastor to Auto Paradise of Texas for his next car purchase. Shawn and Jennifer made this purchase a joy, no games, just complete honesty and ease of paper work. 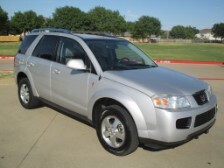 Went in Monday evening looked at the Saturn Vue (with 40K Miles), agreed to a total price, put deposit down and left within 20 minutes after arriving. This vehicle was RV ready, but was missing the front tow bar. Shawn went the extra mile to help us with a tow bar for the Saturn and went above what he needed to do. If you are looking for a clean car, dealing with an honest couple go see Shawn and Jennifer! 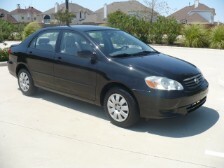 I want to thank Auto Paradise of Texas, especially Shawn, for going the extra mile with me with my purchase of my car. 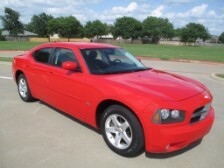 I purchased a 2010 Dodge Charger and LOVE IT!!! Shawn really made my experience in buying my car a very smooth, pleasant and easy experience. 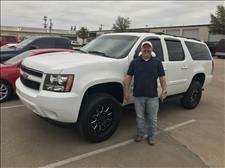 I have recommended Auto Paradise of Texas to some friends who were looking for used car, and will continue to recommend them. Thank you Shawn again for your service and help! Dear Hoovers, (Shawn and Jennifer) You are thanked for easing the pain of a car purchase for me. 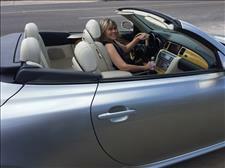 I am truly enjoying the BMW, friends are affirming, it’s not as hard to adjust to as expected. Thanks for your initiative and ‘drive’ to please customers. I’ve liked you on Facebook and will happily refer your company to a wide circle. Many wishes for continued success in every pursuit. 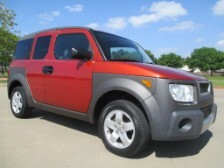 Gratefully, Karen & Karl M.
We LOVE our new Honda Element!!! It came at just the right time before we moved. I don’t know what we would have done without it…seriously. Shawn and Jennifer made the purchase seamless and are just amazing people. We’ll be back!! I would like to give thanks to Shawn and Jenn for their outstanding services they provided. It was a great pleasure working with them. 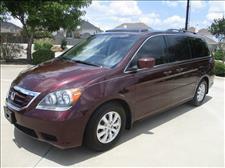 I bought a low mile 2006 Nissan Quest and we love it! I will recommend Auto Paradise of Texas to all my friends and family. It was a great experience! 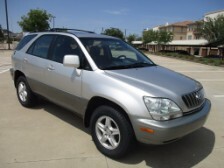 Sincerely, Rafael E.
Shawn & Jennifer, Looking for a car for my son in college had become an ordeal until I contacted you about the 2003 Toyota RAV-4 you had for sale. When I saw the car, it was exactly what your ad and video had described. Your records of previous ownership, service and registrations were complete and precise. Even the make ready work done by your shop was well documented. Your no haggle pricing was very fair. Jennifer made filling out the paperwork a breeze. She even showed me how to buy an extra remote on line and gave me the instructions on how to program it. After I bought the car, and you were showing me how to change the tire, you noticed that the spare tire cover was defective. You had it sent out and repaired at no additional cost to me. I can’t tell you both how much I appreciated doing business with you. Your honesty and integrity are unmatched in this business. 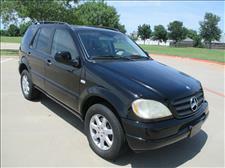 I would recommend you to anyone I know who is seeking a reliable car. It was so nice to drive away in the car and not have to worry about what else I had to do to the car to get it ready for my son. I have never had a more enjoyable car buying experience. We were shopping nearby when our vehicle broke down. We have a Volvo C70 Convertible. The serpentine Belt and tensioner broke on the vehicle The nice folks at Auto Paradise of Texas went above and beyond to help us. They looked at our car and charged us nothing. They even arranged a tow for us so we could bring it to the Volvo dealership. 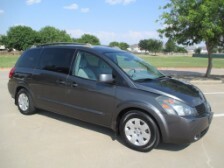 We did not buy a car, nor did we get our car serviced there, but our experience was wonderful. I just wanted to thank Shawn, Jennifer and the ENTIRE staff at Auto Paradise of Texas. Thank you for making my car buying experience over the weekend the most memorable one to date when buying a vehicle. It started off with seeing what I wanted from your website (A 2000 Lexus LX470, 1 Owner with 62K miles), then I was informed that you guys could pick up a client at the airport. Thank you for the outstanding customer experience given by you and your staff. I have purchased many cars before, but by far, you guys go above and beyond with making sure the buyer is satisfied with their purchase. Thanks again and I’m your customer for life. I’ll not purchase another use car from anyone but Auto Paradise of Texas. 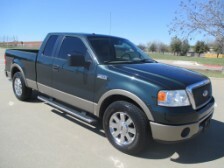 I recently bought a 2006 Ford F-150 Lariat pickup from Auto Paradise of Texas and had a very positive experience. The day prior, I was at a large dealer in the DFW area and had the exact opposite experience. At Auto Paradise of Texas there was no pressure at all and they had the truck out waiting for me to arrive and test drive. We signed the papers and they delivered the truck to my residence. 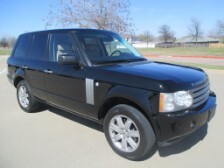 I would definitely recommend them to anyone looking for a good, quality used automobile. Thanks for making this a simple and pleasurable experience! Dear Shawn and Jennifer, I just wanted to thank you in helping me decide on, and procure a good low-mileage like-new used car. You had so many very nice vehicles to choose from. 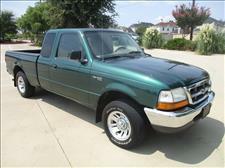 All of them were very low-mileage, and looked like “new mint condition” vehicles, that it was hard for me to decide. 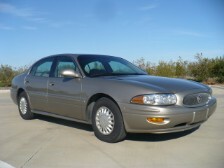 My purchase of a 2001 Buick LeSabre with 66K miles seemed to be the right fit for me. I have, so far, been very pleased and happy with my purchase. I have recommended you folks to several of my friends, and will recommend you anyone that I know of that needs a “like new, low-mileage, good used vehicle” … I even want you folks to do the “service maintenance” regularly on mine to make sure it is kept in tip-top condition as much as possible, because I plan to drive it for a very long time. 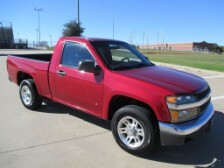 Sincerely, Barbara M.
I purchased a Chevrolet Colorado, a few months back and have to say that Auto Paradise of Texas goes above and beyond to help you and keep you happy. They are always there for you, if you need them. I recently locked my keys in the truck, and Shawn sent his employee to my home to unlock the truck and had no problem doing it for me AT NO CHARGE. Thank you so much Shawn and Jennifer!!! I would definitely buy from here, in the future and would recommend them to anyone. 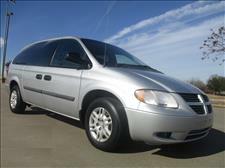 Beth R.
My husband and I found this van on the Auto Paradise website. We never test drove it or even seen it in person before purchasing it. (Never have done this before). With us living far away in Oklahoma Shawn helped us with options we had and helped have this vehicle shipped to us in our own town. I was terrified!! But everything Shawn told us over the phone as well as all the info and pictures on the website have been true! Honestly my van was even better looking then what we seen in the pictures. If you are even thinking about buying a vehicle from Shawn just do it! You won’t be sorry you did!! My husband and I have 3 girls that will one day be future drivers and Shawn, you will definitely be hearing from us again!! Thank You for the business and the greatest vehicle ever!!!! I purchased a car for my son from you almost 2 years ago. 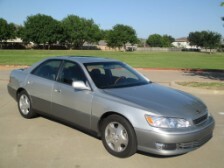 A 2000 Lexus ES 300 with 81K Miles. The car was in great condition and he has been driving it with no problems since. 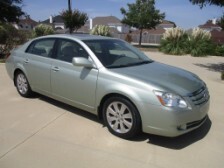 My husband and I relocated to Illinois however I am currently looking for a car for my daughter. She has returned home to the Dallas area from spending last year serving as a missionary around the world. She is looking for a good used car to purchase by the end of January. My previous purchase experience with you was exceptional and I look forward to working with you again. 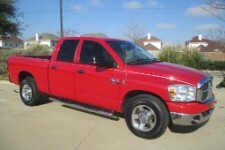 We recently purchased a 2008 Ram Pickup through Auto Paradise of Texas and Shawn Hoover. First let us say that this was a “leap of faith” to find a pickup on the internet and then purchase it sight unseen. We cannot say enough positive about our communication and interaction with Shawn Hoover. Shawn was super easy to work with, very willing to give us the assurances we needed to feel comfortable moving forward with the purchase. He provided banking information so we could deposit the funds directly in his account avoiding the wiring fees. He willingly offered to pick us up and shuttle us from the airport the day we took delivery. He was a great tour guide on the way from the airport to his business. The pickup was everything he said it was and more. He is a man that stands behind his word. He even checked in with us to make sure we got home to Tampa, Florida with no problem. 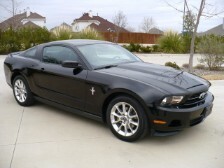 We would not hesitate to purchase another vehicle through Auto Paradise of Texas. Thank you Shawn for the great service. 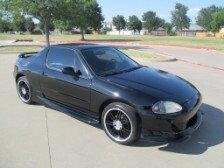 Shawn and Jenn, Thank you for assisting us with the purchase of our 1997 Honda Del Sol. You went above and beyond with our deal (Helping us to arrange shipping). Thank you again for you help in making this happen. 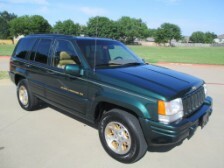 Much Thanks, Diane and Warren G.
We bought a 1998 Jeep Grand Cherokee with 26K Miles from Shawn and Jennifer at Auto Paradise of Texas. They made it the best car buying experience we’ve EVER had. We spent months searching for just the right low-mileage vehicle and we found it on their web site. We watched the video, called Shawn, made an appointment and the next day we were in our new ride. Where else can you get personalized service, a video of the car, an auto history report and a warranty for an older model pre-owned car? Thank you Auto Paradise of Texas. Excellent people to deal with! 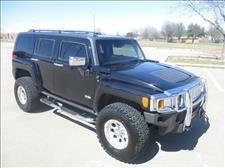 We bought a Hummer H2 with low miles and we love it! Shawn and Jennifer are outstanding to work with and made every piece of the buying process extremely easy! We will be back when we get ready for another vehicle. I am pleased I can count on a car that starts when you want it to start, has no leaks, the tires are good, the brakes are working, etc. My 2002 Highlander is working as promised. Thank you for selling me a good car. My next purchase is going to be a car for my son. I’ll be calling you in about a year for that. 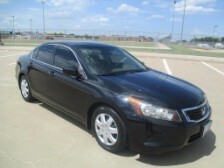 Sincerely, Edna C.
Thanks again so much for your help in purchasing our new car. This was the easiest car buying experience we ever did!! You went above and beyond in helping us out. We certainly will let our friends and family know about Auto Paradise of Texas. Thanks again. 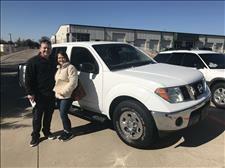 Debbie and Art G.
I just wanted to let you know how pleased I have been with the vehicles I have purchased from you. Initially, I bought a vehicle for myself and was very pleased. I have handed that vehicle down to the teen driver in the family. I let Shawn know what type of vehicle I was looking for and he found it for me. Another pristine and well priced vehicle was purchased from them. All of the staff have been pleasant and very accommodating. The wife will be needing a vehicle in the near future and we will be definitely be coming back to Shawn. Top notch vehicles and service! Auto Paradise of Texas is the best!!! Thanks! “Thank you Shawn and Jennifer for the wonderful services you provide to us parents of teenagers. You carry a great selection of vehicles at an affordable price range and offer up well serviced vehicles that us parents feel comfortable putting our young drivers on the road in. 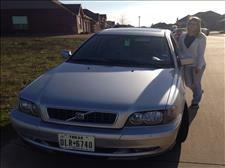 You were very helpful with working with me to be able to purchase the car I felt was perfect for my daughter. She loved it and was very surprised. Your help with the delivery really eliminated a major head ache. I am also grateful as a single mom with no mechanical inclinations, which you stand behind your buyers before and after the sale. I wish you continued success in your business and will refer others to you whenever possible. 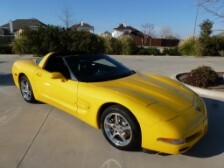 I wanted to let you know the 2004 Yellow Corvette that I recently purchased is absolutely great. It was everything you stated and MORE!!! I am very satisfied with the car and your business relations. 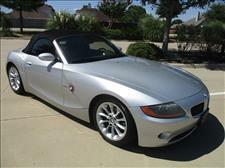 I wanted to let you know that we did have a very good experience with our purchase of the Z4. The car has been a joy to drive and my wife has really enjoyed it, as it was her birthday present. 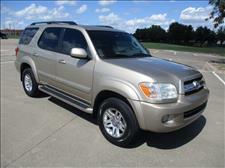 The experience through the transaction was very smooth and you took care of everything you said you would. On a personal level, getting to know the two of you through the process was very nice and helped us appreciate how much you care that your customers have a good experience. I wish you success with the coming year in your lives and your business. I thoroughly enjoyed my car buying experience with Auto Paradise! 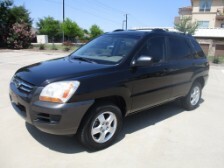 I purchased a 2008 Kia Sportage. Shawn allowed me to evaluate the car and take it to a mechanic of my choosing. I felt he sincerely cared about me as a customer. There was no pressure to purchase, which was refreshing! I have had the car for several months and have not had any problems with the car. If the need for another car arises in the future I certainly will return to Auto Paradise and I would definitely recommend this dealership to others. Thank you Shawn! I have bought, sold, traded many cars in the past. And buying my latest car from Shawn is the best experience yet. He is very professional, respectful, knowledgeable and helpful. He gave me the best deal on my trade-off, and 30 min later I drove off in my new car which I enjoy every day and in my mind thank Shawn every day. Also, Shawn took care of every minor issue (fix, touch-up and etc.) and always treated me with respect and courtesy. His wife, Jennifer, is also very nice and pleasant and helpful lady, which make them the perfect team. 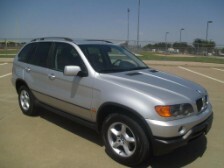 I highly recommend everyone who is looking for a used car, to go to Shawn. All his cars are in excellent condition, and reliable. I am glad that I had an opportunity to do business with him, and will definitely come back if I need another car. Thank you, Shawn and Jennifer for an unforgettable and pleasant experience. There are not enough words to express how impressed I am with your auto dealership and service. 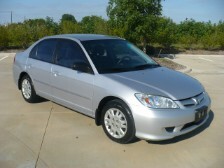 I love my new car but more importantly I am so pleased at how peaceful I feel with my used car purchase. I feel secure and that you have taken the process of buying a used car to a whole new dimension! You, your wife and staff are professional and courteous…I gladly will refer everyone in the market for a car to Auto Paradise of Texas. 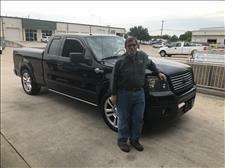 Thank you, Beverly F.
I had the pleasure of working with Auto Paradise of Texas. The service was clean and prompt. The Neon I purchased from Shawn is an excellent car. I highly recommend doing business with this company! Amy W.
We would like to take this opportunity to express our thanks to Shawn and Jenn in the purchase of the BMW we purchased for our son. We had been looking for awhile for cars for our 16 year old son. We could tell before we met Shawn and Jenn that they were going to HONEST and TRUSTWORTHY to work with and that was just in the telephone conversation. The car was everything that was represented and the flaws we found once our mechanic looked at were addressed immediately with no hesitation. They are honest people selling honest cars. We cannot recommend them enough! You will not be disappointed in your experience in purchasing a car. Don’t forget Shawn and Jenn,Dawson will be there in 5 more years to purchase his first car. Deborah M - . . .
We were looking for a van for our daughter, and these guys were GREAT. The van didn’t work out for our daughter (she has a bad back and other health problems that are tricky), but it was a fantastic vehicle. We will be checking with Auto Paradise the next time we’re car shopping!!! This is my second buy from you in the last two years and I am so glad I answered your ad two years ago on the Q45 Infinity. It made me come back this time for an Audi A-6. Without a doubt, you have the cleanest, lowest mileage group of pre-owned drivers I have seen in the Metroplex and I will continue to use your company for years to come. I mention your website and send people there when I can and will continue to do so. Your cars are highly selected, have good mileage on them and have been serviced and cleaned in a professional manner. Please use me as a positive recommendation to any future client of yours, for I believe they would not go wrong in using your company at any time. Thanks for the opportunity of being able to find a car at Auto Paradise of Texas and my personal best wishes to you and yours. 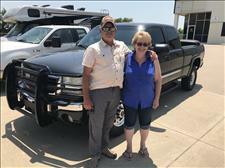 Best regards, Dan P.
I am a 65 year old female and I finally met a decent, knowledgeable, fair and honest used car salesman.” no easy feat” Auto Paradise of Texas owner operator Shawn Hoover and his Wife Jennifer are all of the above. Thank you Shawn, I will recommend Auto Paradise to anyone who needs a vehicle. 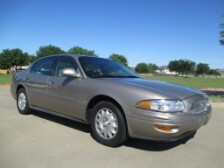 We purchased a 2001 Chevy Impala with 18K Miles on it. Let me first state that we are in no way technologically advanced, so we are hand writing this letter (Testimonial). My Husband and I are both in our 70’s and we have NEVER experienced the quality of service we have received from Shawn, his wife and Auto Paradise of Texas. Every time we turn around they are doing something that is above and beyond what we ever expected from a dealer. From the quality of the car, to the license plates being put on our vehicle. As you can imagine, a couple of our age has seen a lot of things, but the service the two of you have provided us is beyond expectations. We love our car and thank you so much for making it so easy for us. Shawn and Jenn, You guys were wonderful! 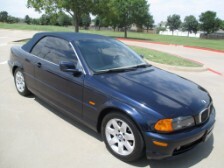 I will recommend Auto Paradise of Texas to anyone looking to buy a used car. I recently got a 2000 Chevy Cavalier from you with 50K miles, and I haven’t had a single complaint. It gets great gas mileage and runs really well. Your knowledge and customer service made this a really great experience. Thank you so much! I wanted to thank you and your team for having made my car purchase an outstanding one (1998 Mercedes E320 with 42K Miles). Your honesty, deep knowledge about the car history, easy to purchase process, free delivery of the car to my moms house, integrity in the entire transaction, etc…(as you can see I can go on and on about the top notch service I got)… Made my purchase experience an outstanding one….to top it all off you honored your taking care of me if the vehicle experienced any malfunction. Well you and your team did that and went above and beyond my expectations by storing the car while I was gone for a couple of weeks. The confidence I have in you and your team has led me to bring my families needs to your shop! Thank you again for everything. Katie can’t love her bug anymore than she does! What a great experience you gave us, from the moment we contacted you about looking at a few cars to the moment we drove away in a 2002 Volkswagen bug! 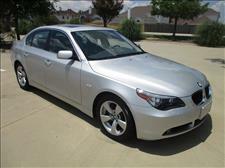 The selection of CLEAN, used cars was impressive, the professionalism was even more impressive. We have many friends who will be looking for cars for their kids in the future, we’ll definitely recommend Auto Paradise of Texas. Thank you! 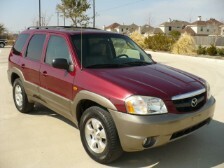 We want to thank you again for helping us find the perfect car for our son Harrison (2001 Infinity QX4 with 75K Miles). It was a surprise as you remember and boy did we get him good! As you can see in the picture he loves it. The vehicle is an absolute gem and we couldn’t be happier with the quality and service you provided. I can’t wait to buy my next car from you. Thanks again and wishing you continued success. 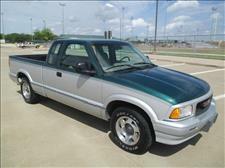 I just purchased a 1995 Chevrolet Blazer with super low miles from Auto Paradise of Texas. I wanted to share my experiences and impressions of all my searches for a Vehicle that met all of my personal standards and was within my price range. I have more than 50 years of experience working in the Automotive Industry that included New Car Dealers, Used Car Dealers, Service and Collision Repair Shops. I spent more than 6 weeks on the Internet and making a lot of trips looking for a vehicle that met my Standards within a 150 mile radius from my home . I found a Vehicle on the Internet that met all of my requirements. I called the Dealer for details. 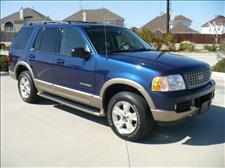 The next day I was picked-up and “Test Drove” the Vehicle back to the Dealer located in Arlington,Texas. (Auto Paradise ofTexas). 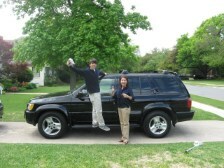 The Chevrolet Blazer was exactly as advertised – I made the Down Payment, then Signed the Paper Work and Drove it Home. All done in an less than 2 Hr’s. I could not be more satisfied with my purchase!!! 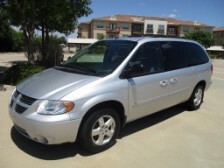 Thank you for making the purchase of our 2006 Dodge Grand Caravan with 35K miles go smoothly. Our family purchased the van over a month ago, and it has turned out to be a great purchase. Thanks again for your friendly and professional service as I traveled a long distance to find a vehicle with low mileage and great condition. (Flew in from Colorado). 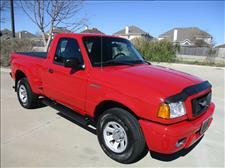 I will look again with Auto Paradise of Texas in the future when it comes time to purchase another vehicle.